Hey y'all! I hope your week is off to a great start! My Monday was extra busy with mom duty, a PTO meeting, taking care of all the things I put off over the weekend, and lots of work. I'm so thankful for coffee on these busy days! 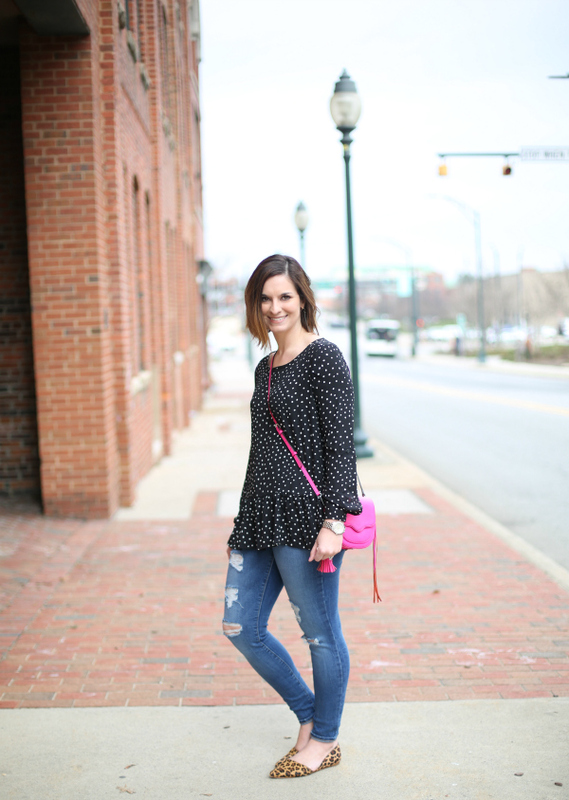 Today, I am sharing an outfit that I feel like just screams my name. If you took all of the things that I really love and threw them all together in one outfit, it would look something like this. 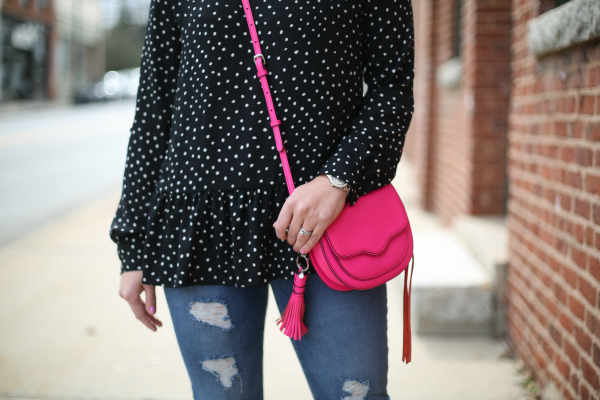 I am such a big fan of peplum tops! They are so feminine! I especially love this one that I got from Loft last spring. 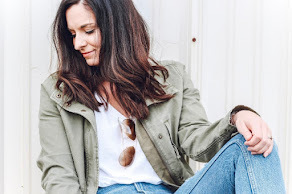 Of course, it's unavailable now but I have linked some other cute options that are very similar at the bottom of this post. I also really love the color black for obvious reasons. It's incredibly flattering and so easy to put together. When I don't know what to wear, I always reach for black. 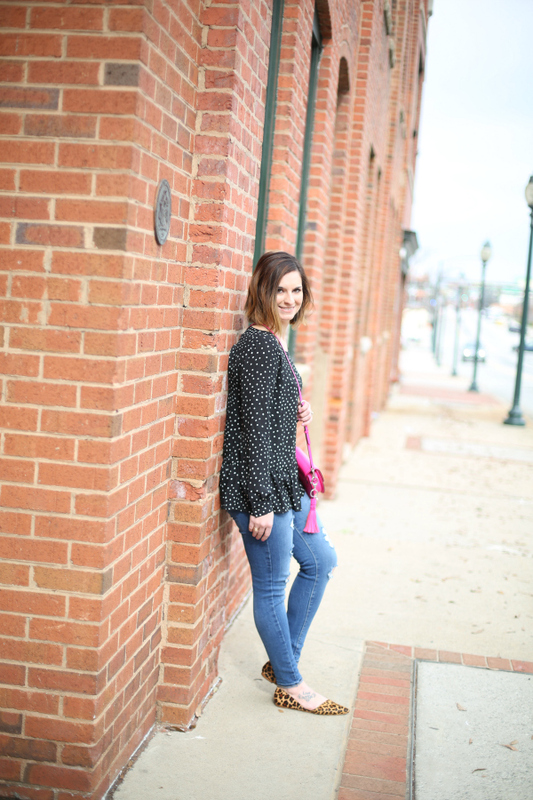 I own two pairs of these distressed jeans from Old Navy because they are amazing! They are stretchy (you can size down one size) but hold their shape. The distressing is perfectly placed so that it's not too revealing #momfriendly. I also bought this bag last year and it's one of my favorites! It's small but big enough to hold my wallet, hand lotion, Tic Tacs, and lip gloss. The essentials. 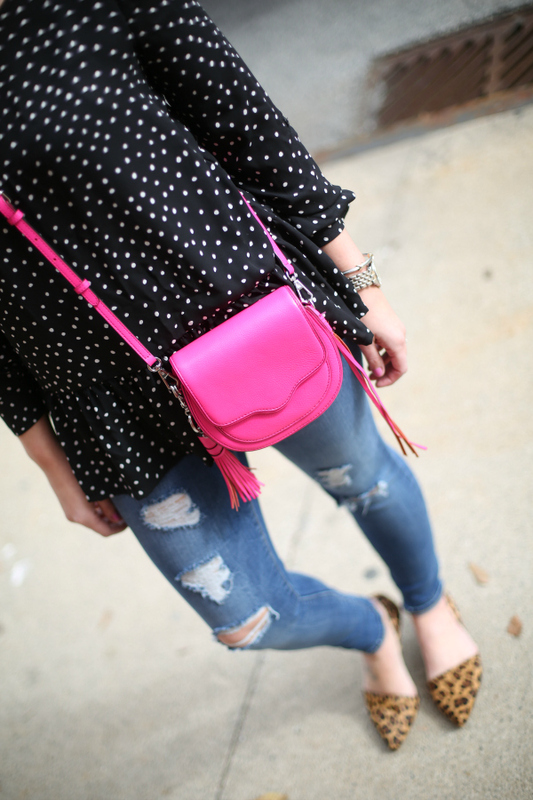 I love adding a pop of pink to boring outfits to make them more exciting. I especially love pink and black together! 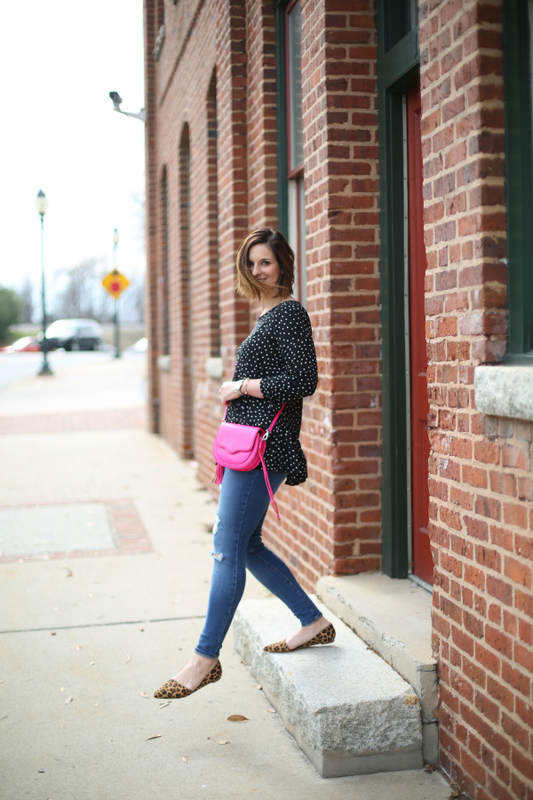 If you've been visiting my blog (or Instagram) for very long, you know that I love leopard. 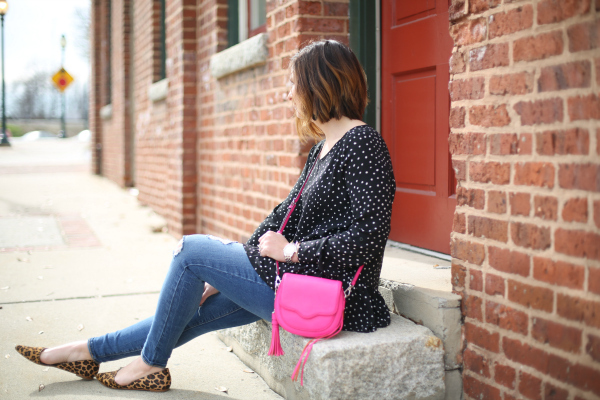 Leopard was just made for pattern mixing! It goes so well with plaid, polka dots, stripes, and even floral. My simplest rule for pattern mixing is to find one color in common. Black is definitely the easiest color to use for pattern mixing perfection. This is definitely an Emily outfit. Have a great day! Bracelet | Filthy Rich Online (get it for 20% off with code EMILY20). Great top and flats!! Such a classic look! That pop of pink really makes this look so much more vibrant!